Although the challenge of standing out from thousands similar to you is felt by all kinds of organizations, non-profits have a unique set of difficulties. While larger companies can afford the resources and time to invest in intensive website overhauls, small staffs and limited budgets pose as common barriers to non-profits. When WDG launched GiveBack DC in 2012, our social responsibility was focused on those praiseworthy non-profits like Jackie’s whose mission was there, but lacked strong brand presence because of outdated websites. 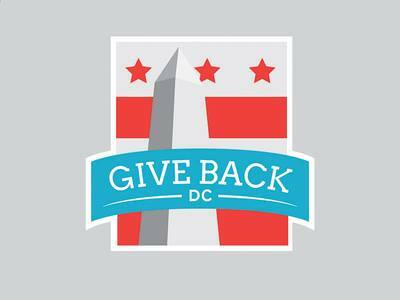 The brainchild of our developer, Grant, GiveBack DC was created to give back using our skills in design and development. Two years and over $300,000 worth in pro bono services later, GiveBack DC and WDG have continued to help strengthen the non-profit community. The design and development process starts weeks before with an initial discovery phase, where WDG sits down with the non-profit and identifies its goals for the new website. This initiative is not about building beautiful websites without considering the non-profit’s challenges, and discovery allows the designers and developers to create a functional, and visually appealing, website to help the non-profit grow its online presence. Take a look at our feature case studies to learn more about what we did for DC Diaper Bank and Hire Our Heroes. If you have any more questions about what WDG does, drop us a line today.